In 1905, Henry Grabin of Scott County, Arkansas sent the first samples of Arkansas Sweet to the USDA, thus bringing this fine apple to the public’s attention. It was believed to be a lost variety until 1993 when we discovered it still being grown by John Kenyon of Lacon, Illinois. 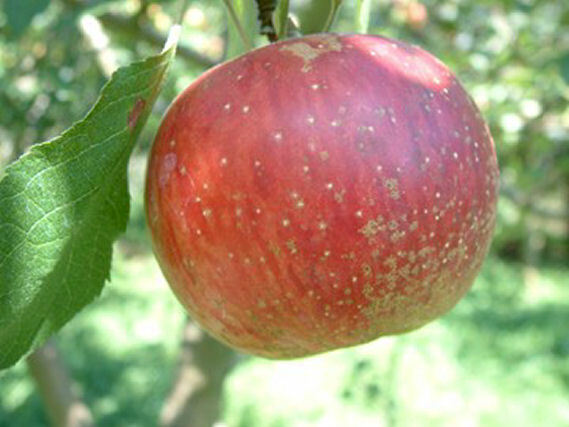 Fruit is medium-sized with yellow skin overlaid with crimson and darker red stripes. The whitish flesh is crisp, sweet, and crunchy. Ripens early winter and is a fair keeper.